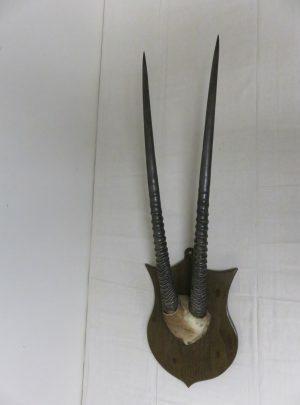 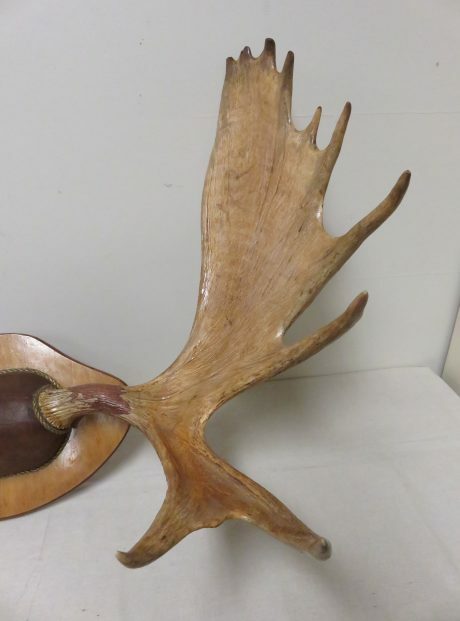 Here we have a nice set of Moose antlers done on a taxidermy plaque. 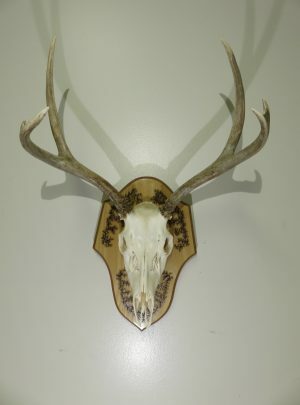 A great looking rack that measures 42″ overall width. 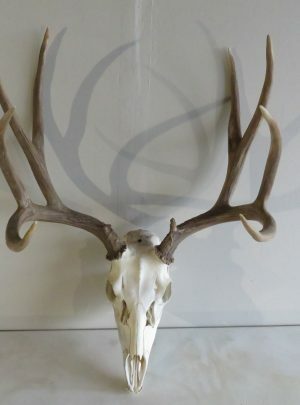 See attached pictures to see where a repair has been made on the left beam near the skull plate. 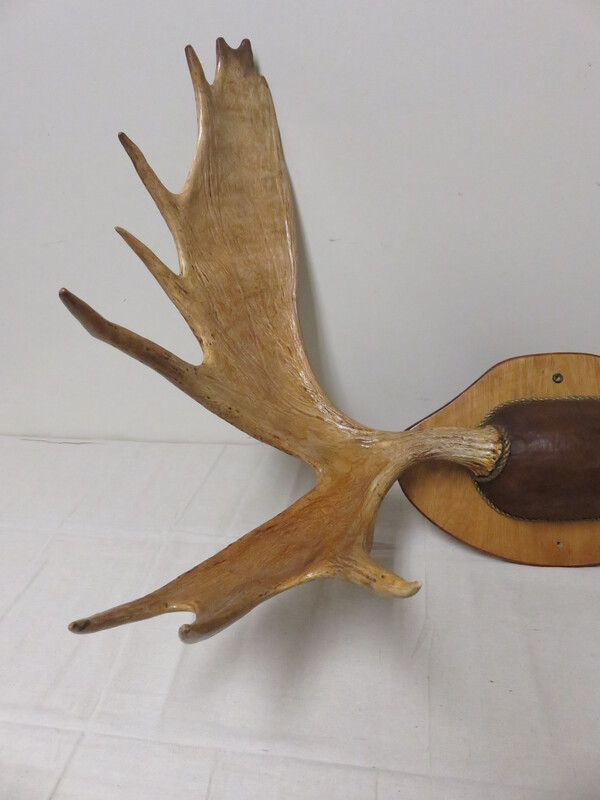 Also antlers have been given a coat of a sealer to protect from fading or aging. 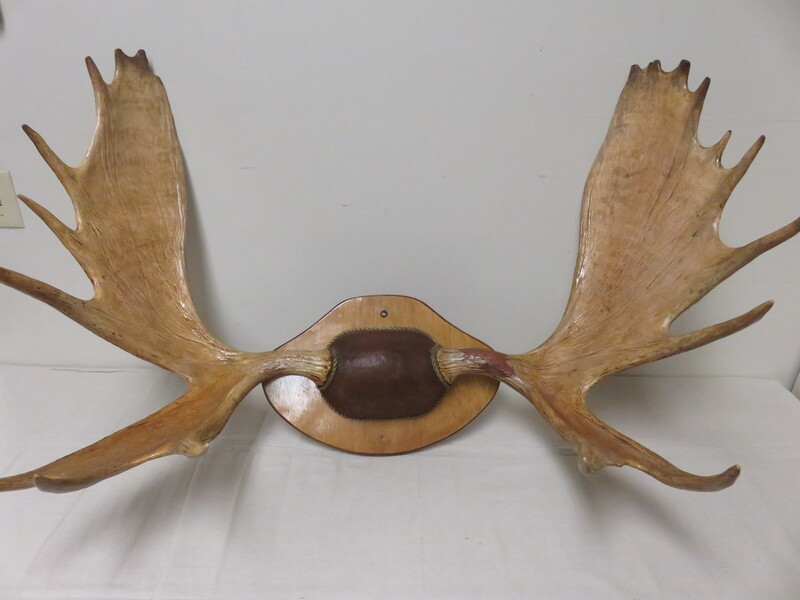 Due to repairs we are rating this mount as merely a “Nice” item. 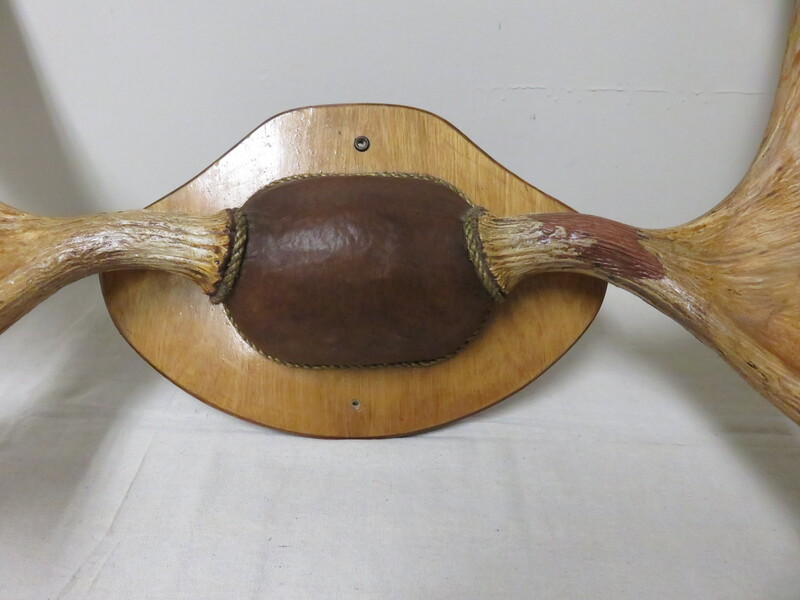 Still this is a great looking set of paddles and will provide many opportunities for conversation. 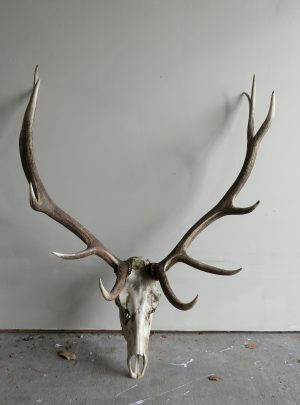 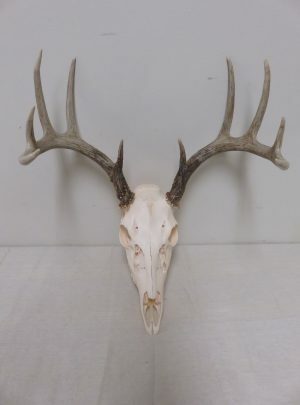 A great rack from one of North Americas premier and most recognized large game species. 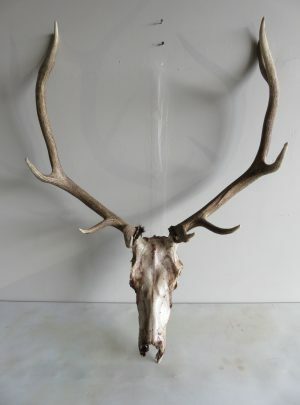 Overall mount dimensions: 42″ width x 27″ high x 19″ deep. 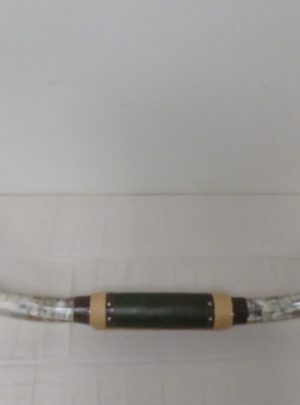 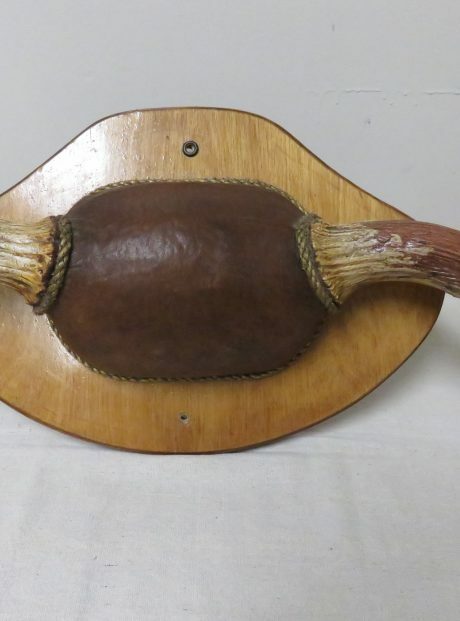 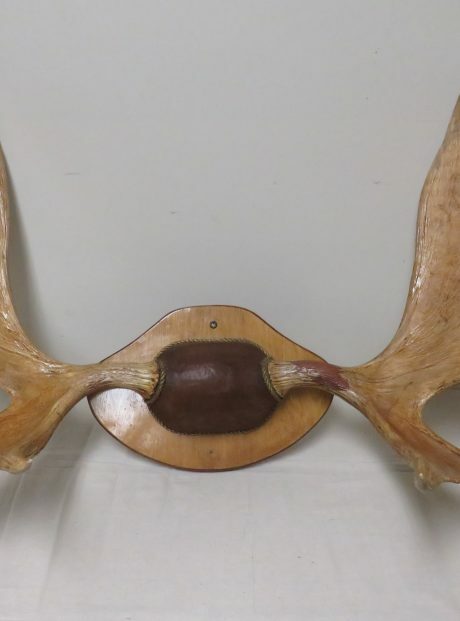 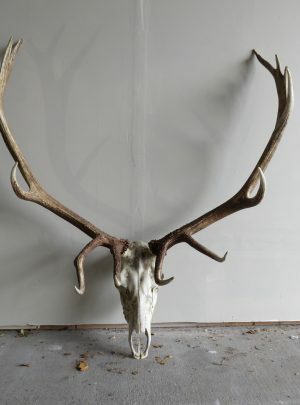 Antler dimensions are 42″ wide and 27″ paddle depth.